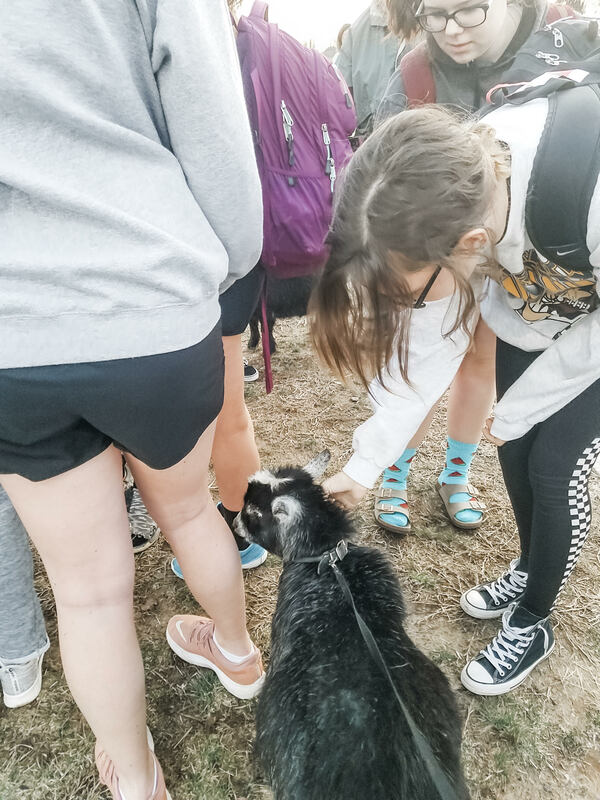 After the recent tragic loss of two students within one week at Turpin High School, 1N5 wanted to provide opportunities for staff and students to find joy this week. On Monday, 1N5 hosted a morning of de-stressing and mindful activities for staff to start the week off on a positive note and cope with recent stressors. Community members provided food while 1N5 organized a space for teachers to spend time relaxing, sharing breakfast, playing simple games, and/or participating in a mindfulness breath meditation. We were grateful that the staff at Turpin were so appreciative of the food provided by kind community members and our efforts to create a positive space to recharge and reset for a fresh week ahead. In addition, Turpin students have also been tremendously emotionally and mentally impacted by the loss of their beloved classmates. 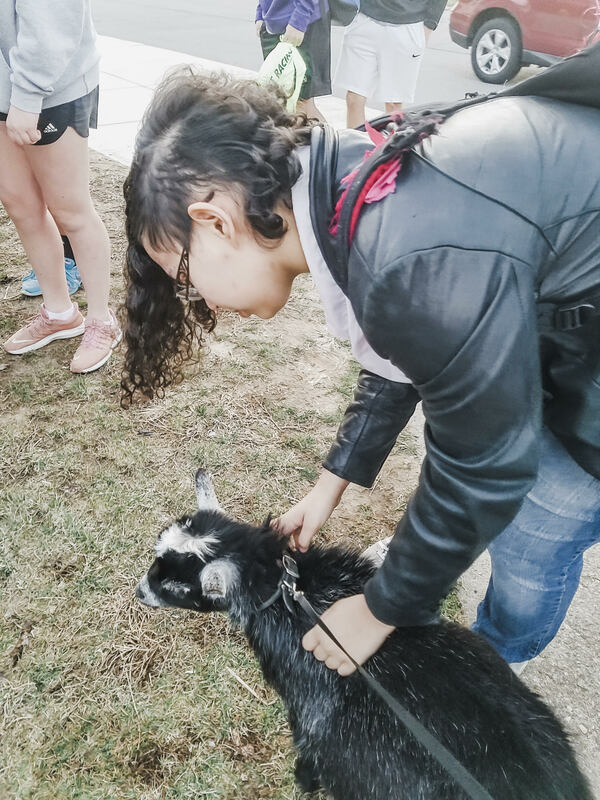 We realized that the students also needed something simple to ignite some happiness and joy into their daily routine, so we decided to use a very unexpected approach in order to capture the students’ full attention. 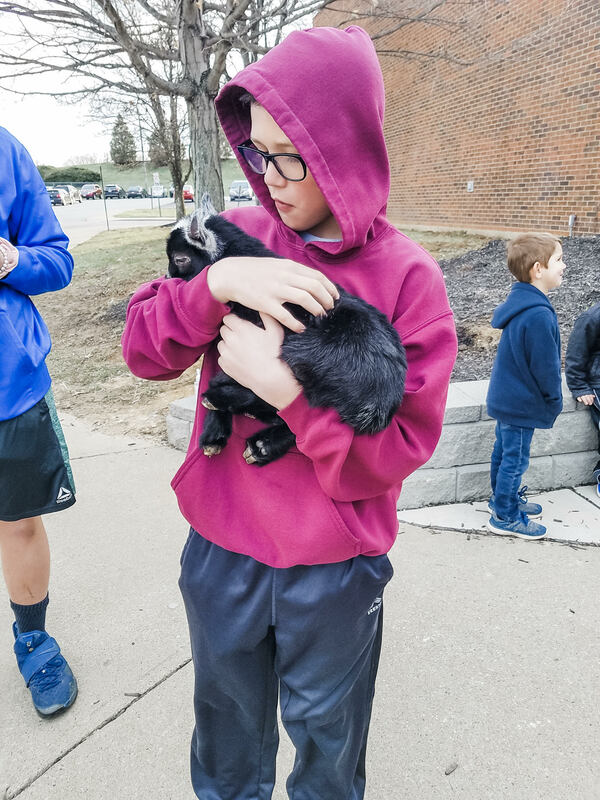 With the help of a local Turpin family, students were greeted on Thursday morning by five pygmy goats to pet, hold and cuddle! 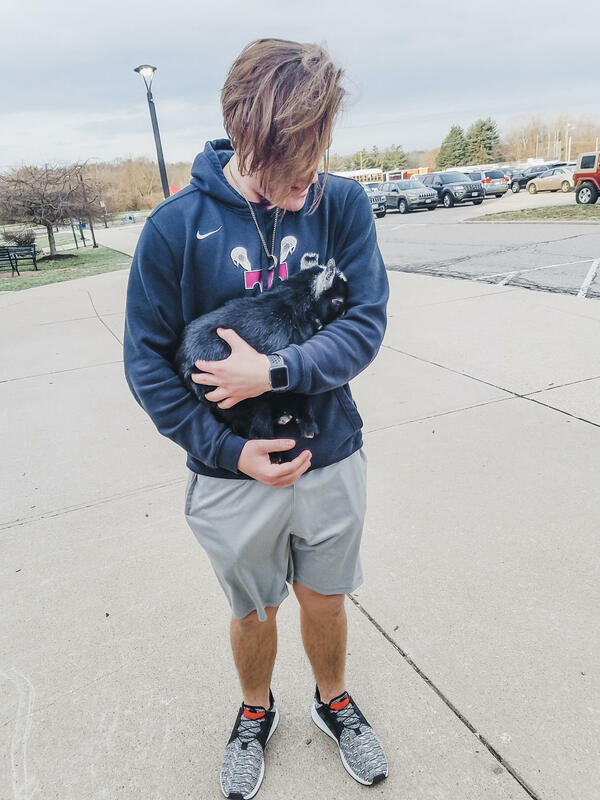 Students were definitely surprised at the sight of goats at school when they arrived! All the smiles confirmed that our mission of brightening their day and provide some form of healing, even if for a brief moment, was a success!